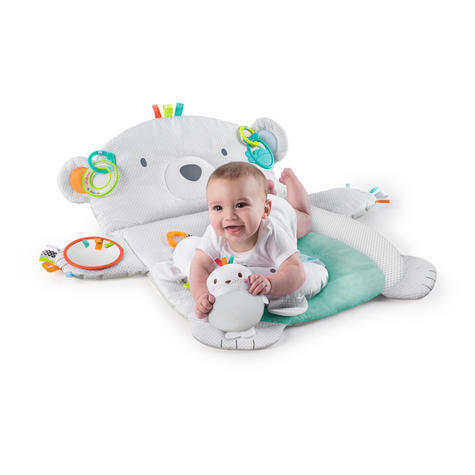 Fun Comes First!™ The perfect plush pal to soothe and snuggle baby during tummy time and floor play. 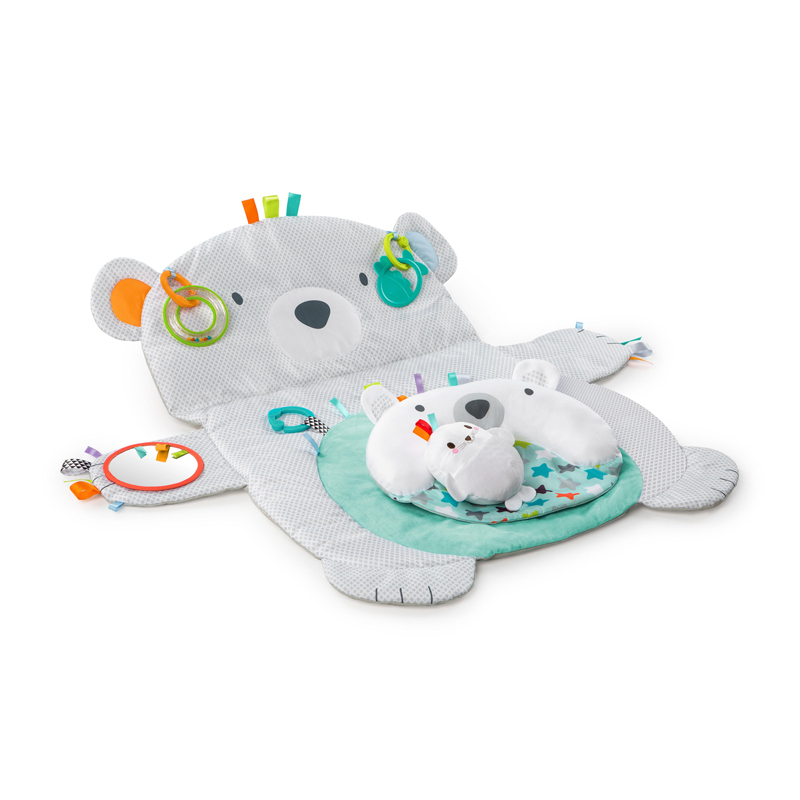 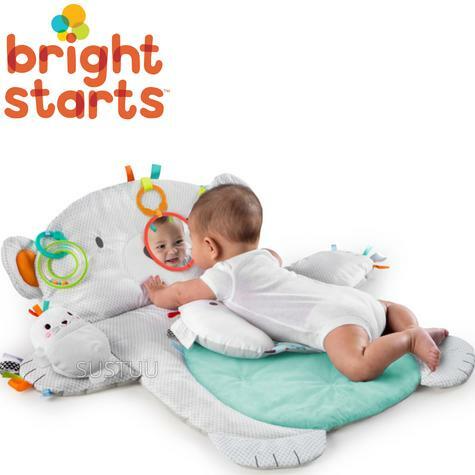 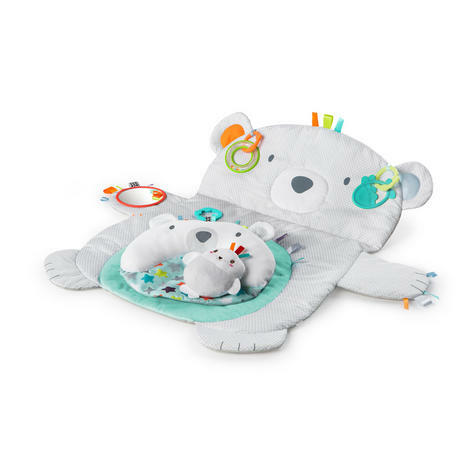 Perfect for smaller spaces, this play mat has everything baby needs to stay comfortable and engaged. 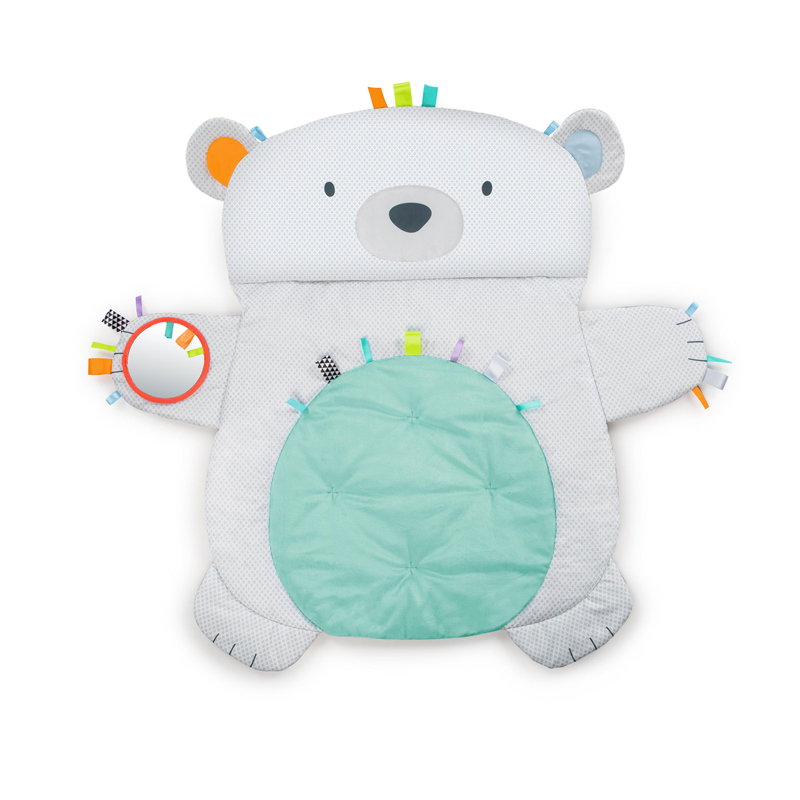 It is trimmed in Taggies™ satin loops, allowing for tactile exploration and soothing. Babies can also explore crinkle sounds, a baby-safe mirror, rattle, and other toy attachments. A cute prop pillow is included, for extra support during those newborn months. 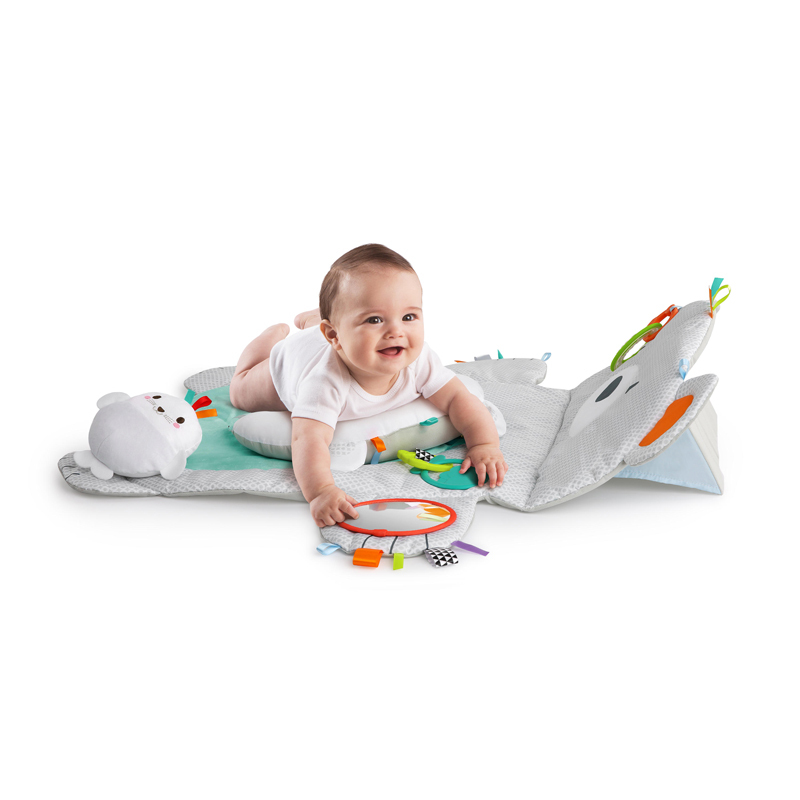 And, since the mat is machine-washable, you can easily keep baby’s play place fresh and clean.